Original alcohol inks on 74lb Yupo paper then photographed and arranged to fit a custom envelope template, laser printed on 8.5" x 11", Southworth White 24lb 100% cotton paper. Each envelope was cut from that paper using an Ellison Prestige Pro Cutter with a custom 6-3/4 envelope die and hand-assembled. Only 58 were made. 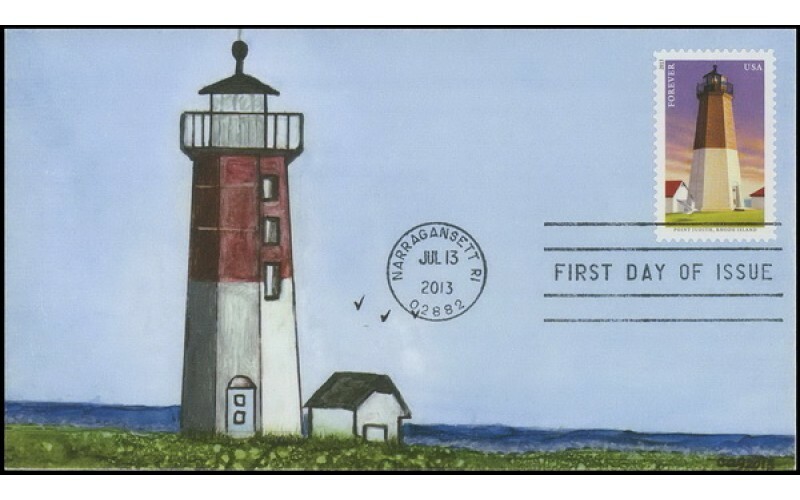 The first lighthouse was built at Point Judith in 1810. This was an octagonal wooden tower and was destroyed in a severe hurricane in September 1815. 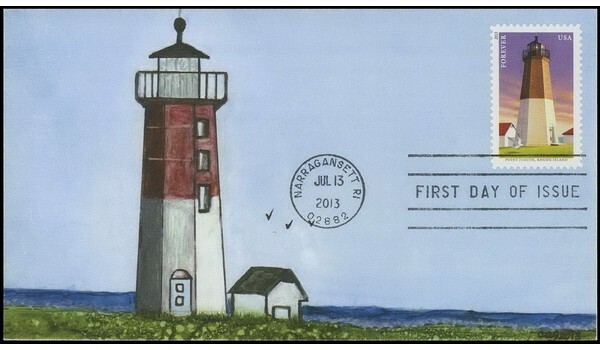 A 35-foot stone lighthouse was erected the following year. In 1857, a new 51-foot brownstone tower and brick dwelling, connected to the tower, were built. This lighthouse still stands today. 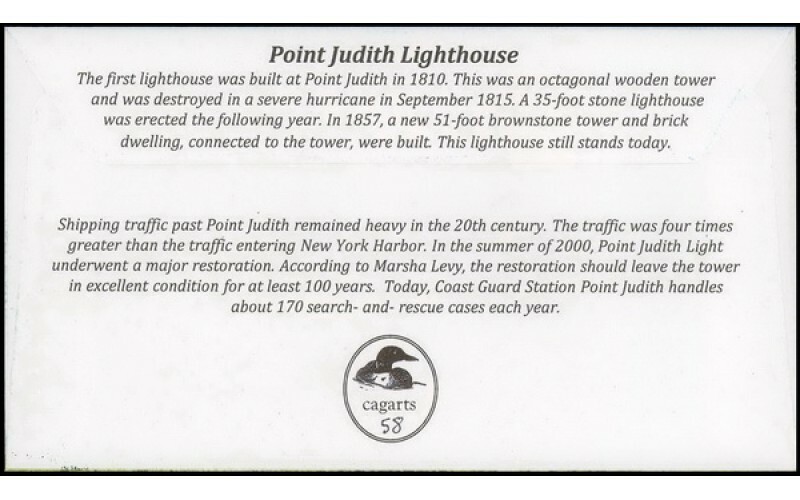 Shipping traffic past Point Judith remained heavy in the 20th century. The traffic was four times greater than the traffic entering New York Harbor. In the summer of 2000, Point Judith Light underwent a major restoration. According to Marsha Levy, the restoration should leave the tower in excellent condition for at least 100 years. Today, Coast Guard Station Point Judith handles about 170 search- and- rescue cases each year.